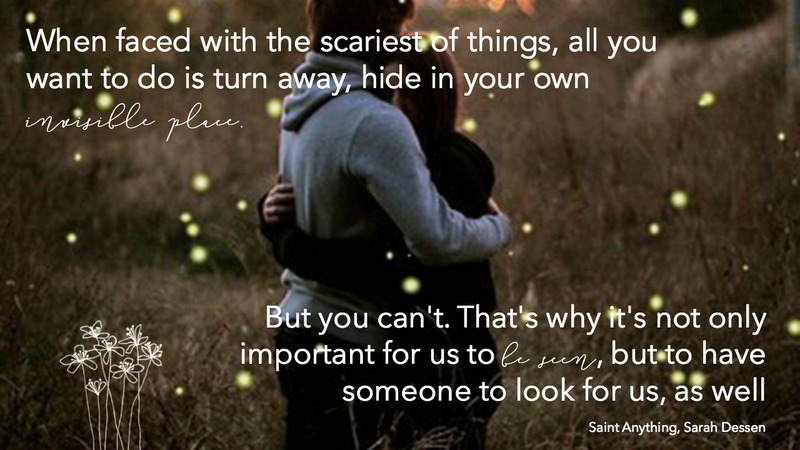 #ReadADessen | Saint Anything by Sarah Dessen Favorite Quote + Giveaway! Sarah Dessen's Saint Anything is riddled with quotes that I find inspirational and motivating. It's hard, when reading such a lengthy book, to choose just one that you think fits the entire theme of the book as well as catch the attention of any perspective readers. However, I think I did a pretty good job at choosing one that glorifies this book and extends an honest and truthful message. Some may take this quote as a damsel in distress seeking attention. The way I see it is that even those scary things may happen, we shouldn't run the other away and cower in an "invisible place". It's never wrong or cowardly for us to ask for someone else's help in a situation where the outlook may seem dim. 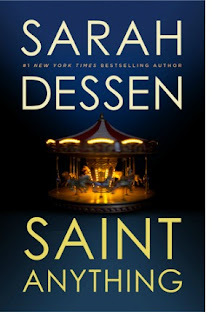 What is your fave Sarah Dessen quote? Thank you so much! 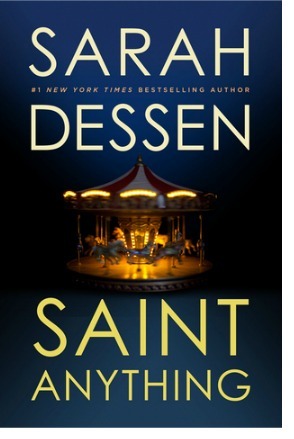 I'm hoping you get to read the book because it's definitely one of Dessen's best. Samee!! I usually don't like all her books. Most are a hit or miss for me.